If you’re dreaming of a Bluetooth Christmas, I have some top picks for keeping kids connected and future forward in the world of STEM! These are fun choices for the whole family and (shhh!!) they also promote learning. You can check out my gift guide (and special STEM section!) for more fun stuff at http://www.katie.gifts/! With so much excitement around the new movie, The Last Jedi, there is renewed interest in exploring The Force! 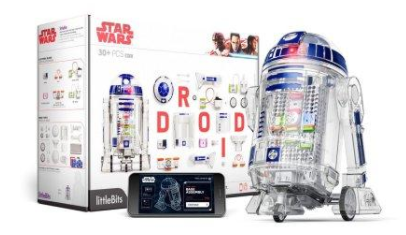 This Droid Inventor Kit teaches children how to build a droid and bring R2 to life through coding. Not to worry, though the mechanical pieces look high-tech, the kit has a straight forward construction process. Once R2 is built, he is controlled via an app with interactive sounds, tricks and over 16 potential missions. 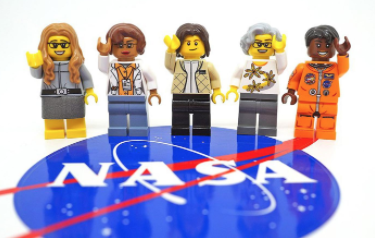 Introducing one of the hottest new LEGO sets – it’s the Women of NASA! Featuring four mini figures of female pioneers in the space program including astronomer Nancy Grace Roman, computer scientist Margaret Hamilton, astronaut and physicist Sally Ride and engineer Mae Jemison. Fun and interactive, this set encourages imaginative play and curiosity about space with three different model builds including a Hubble Space Telescope and a Space Shuttle Challenger launch pad. I’ve personally worked with LEGO for years and its one of my favorite brands to encourage STEM learning. Children may hear about environmental concerns, but not fully understand what “sustainable living” really means. 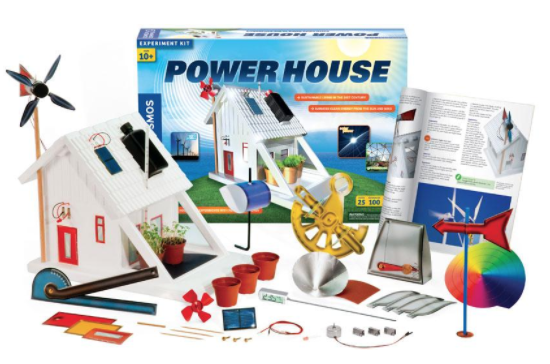 This unique kit teaches children about sustainability through hands on experimentation with over 100 fun and educational projects. Explore alternative energy and energy efficient construction by building a solar panel, a wind turbine and even a greenhouse. Also includes a 60+ page manual with set-by-step instructions and clear scientific explanations. 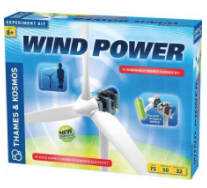 Talk about next level experimentation – this kit enables children to learn about real-life physics through the construction of their own 3’ wind turbine and electric generator. Kids can conduct over 10 experiments like powering up an LED light or charging a battery to run a vehicle. The 30+ page manual lays out the experiments and teaches children about the basics of physics and electricity along the way. I’ve personally partnered with Norton to spread the word on this important product and the importance of home security. With the influx of varied connected devices entering the home these days, from smart toys to an array of computers and tablets, Norton Core provides peace-of-mind and protection for your network. 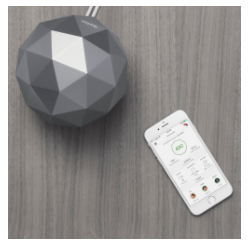 Norton Core’s dual core processor generates optimal Wi-Fi to all corners of your home, while also protecting your personal information from hackers. Bonus: Install an easy app to manage your network with access to specific data including how many deceives are connected, parental controls and the number of potential threats blocked. What STEM-promoting toys and gadgets are you getting the kids in your life this year? Share your gift ideas with us below! Katie Linendoll is an Emmy Award Winning technology expert and regular contributor to AMHQ. You can follow her on Facebook and Twitter.